We at Islamabad Web Hosting provide you much more than just web hosting and domain registration. We have ultimate package for your long term technical needs, all top level Generic , country code Pakistani and New domain extension for registration in lowest price. IWH providing cheapest domain registration in Pakistan, here you can register most common domain extensions that is mostly being register by individuals and organization. You can get register .com, .net, .biz, .info in just 999/- PKR. For one year. We are different than any other domain registrar in Pakistan. Here you can renew your domain with same charges in which you have been register any generic domain extension. There is no hidden or extra charges for generic domain name registration and renew, you may get register or renew any domain with same price. Domain name is actually your Website ID, it’s your property and you should select it according to your need. Normally, Google rank well those websites and forum that is being specifically target for specific internet audience. For this purpose countries has launched their own country code domain extension, just like .PK domain is for Pakistan and .US Domain for America. It’s not easy to register any ccTLD instantly because there are many restriction to be register any ccTLD. Mostly countries restrict registration for only their own citizens, a person from outside country not allowed for register that domain. However, there are many domain extensions that not have any restriction for registration, click the button below to explore that and register any of them for target that country for your business purposes. .PK domain is top level county code domain for Pakistan. 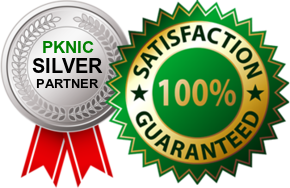 Being a srs member of PKNIC, Islamabad web hosting offering one of the cheapest PK domain for our valuable clients; you can get PK domain or any of its sub domains like .com.pk, .edu.pk est. in one of the lowest prices as compare to the market, if you are a register government institute or Company then you can also get register all that government domain extension like .gov.pk, .kpk.pk from us. Domain Registration, Renewal & transfer Service in Islamabad, Pakistan. 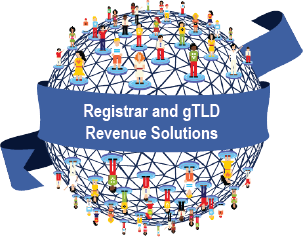 Register any of Generic, country code domain (ccTLD) or popular domain name. IWD provide best and cheap domain registration service in all big Cities of Pakistan register any domain from Lahore, Islamabad, Karachi. Those clients who are not satisfied from our services and wanna transfer domain to any other panel or our panel, here they can do that. IWD provide domain renew services, here you can renew any domain with same price in which you have register a domain extension.